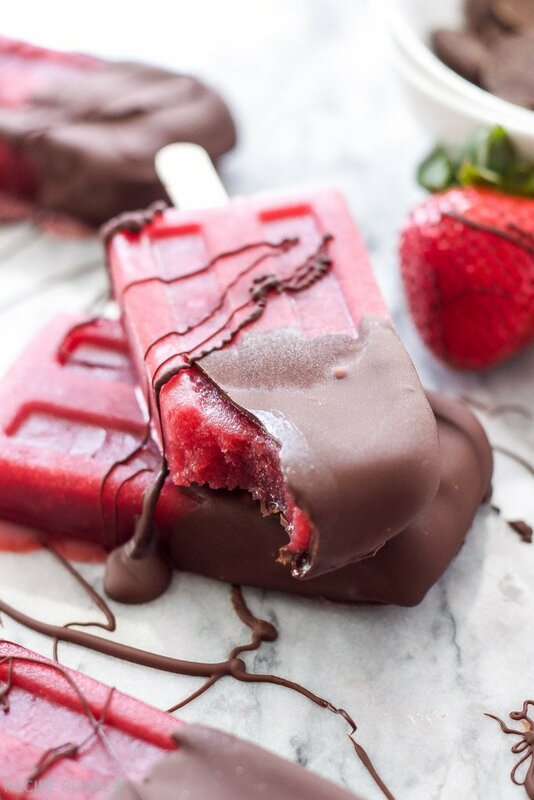 Sweet strawberry and red wine popsicles dipped in delicious dark chocolate! The perfect summer treat! Things are heating up here in Colorado. After a month of below normal temperatures and more rainy days than I can count, the sun has finally returned and we are going to be warming up to the 90’s for the rest of the week. You would think that an Arizona native could handle 90 degree temperatures, but my skin isn’t as thick as it used to be and I’ve been spoiled by the cooler Colorado weather. 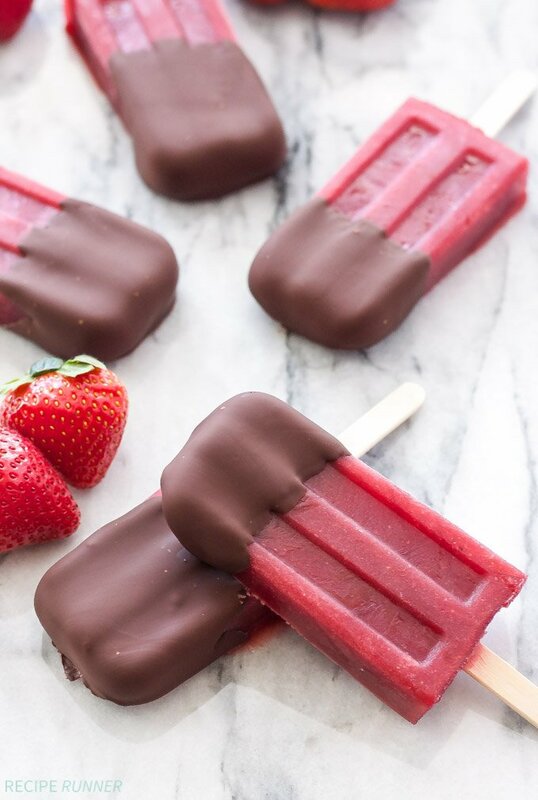 Needless to say I’ll probably have to turn on the air conditioner (first time this year) and I’ll be doing whatever I can to stay cool, like snacking on one of these Chocolate Dipped Strawberry Red Wine Popsicles! These popsicles have it all! Sweet strawberries, red wine, and a delicious dark chocolate shell coating the outside of them. They are the perfect summer treat! Today I’m sharing the recipe for these boozy chocolate covered popsicles over on Spoonful of Flavor. 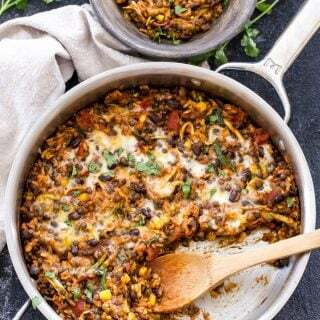 I’m sure by now you have become familiar with Ashley’s blog and if you haven’t take a few minutes to check out some of her delicious recipes and travel posts. She just got back from an amazing trip to St. John and all the beach pictures left me speechless! Someday I’ll get my tropical island vacation and when I do I’m making a batch of these popsicles to eat out on the beach! Thanks for sharing these amazing popsicles! They are the perfect treat for a hot summer day. I'm glad to hear the weather is warming up for you. My air conditioner has already been running for months so I will need these popsicles to get me through summer! You're so welcome Ashley! I was hoping to not have to turn on my AC until next month, but that's definitely not happening. Eeekkkk! I LOVE THIS SO MUCH! Wine popsicles are there own are just awesome. But then dipping them in chocolate. Genius. It's like you are speaking straight to my heart! Thanks Liz! Wish you were here so we could sit outside and eat a whole batch of them! OHHH MY LANTA!!! Feed me! Feed me! Ohhhh man, my wine loving heart just skipped a beat! Haha! Me too Nicole, I need to make another batch! Oh my goodness! Divine! It was 115 in Phoenix today and I thought I was going to melt. 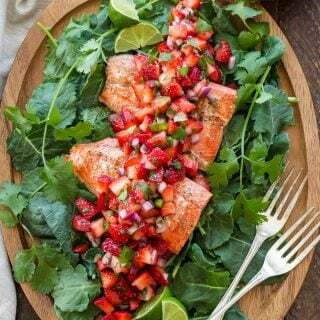 These would have hit the spot - love it! Ugh I saw that Patricia! I don't miss those awful AZ summers. I probably would have eaten a whole batch of the popsicles if I was still living there! What a great idea to dip popsicles in chocolate! Yum! Can't go wrong with things dipped in chocolate! Oh my goodness Danae, you really are after my heart with this one! Strawberry red wine AND chocolate? I could seriously polish off all of these! DROOL. What an amazing combo!! We've been having some very cool wet weather, but things are finally heating up here too. These need to happen soon! Thanks Kaitlin! You will love them! In the recipe I printed out it does not have how much coconut oil to use. Can you please send that to me? 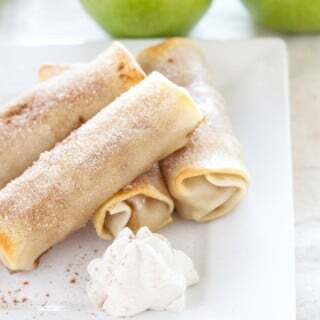 I can't wait to make these. Hi Donna, You'll need a 1/2 teaspoon of melted coconut oil. Enjoy!